CIRE Travel’s headquarters is in Paramount Plaza located on Broadway between 50th and 51st Streets, in the heart of Midtown and the Theater District, just blocks from Times Square and Rockefeller Center. Planning travel through CIRE Travel gives you access to A-list connections in the travel industry. Our New York-based travel planners put their industry relationships to work for an exceptional experience. Perks, waivers and upgrades. Enjoy them all with CIRE. Our travel planners micromanage every detail of your reservation. We’ve ensured our clients arrive at their destinations during volcano eruptions, snowstorms and when they’ve overslept. Just one call to CIRE, and it’s handled. That’s all you want to hear. There are two things you should never face winter without: CIRE Travel and knowing where to find the best matzo ball soup in New York City. 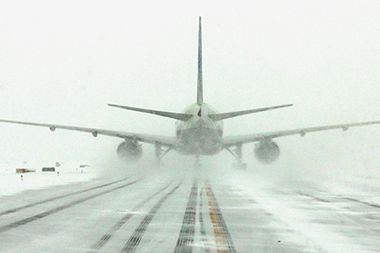 Both can get you through the worst things about winter – travel delays and being sick.